Who runs faster than a speeding train? Who lifts the sofa like it's just a game? Who can fly high, and I mean really REALLY high? Who can turn invisible at the blink of an eye? Whose super brain always saves the day? Whose x-ray vision shows the way? He's lots of fun, this person I know. 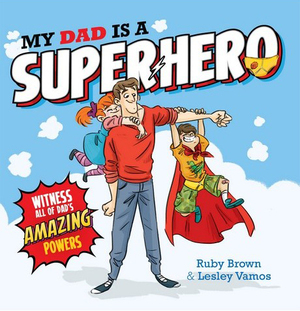 It's my amazing dad, the superhero! Who runs at the speed of light? Always knows when we've had a fight? Who's super healing saves the day? Who always has time to play? She's the master of disguise, knows when we're telling lies and I'm pretty sure she even flies! 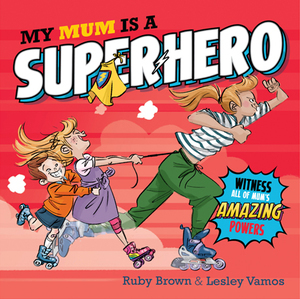 She's always in the know, my mum - the superhero! 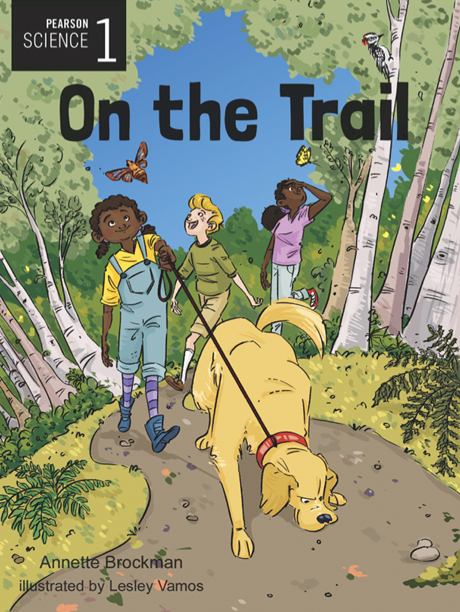 Three friends go exploring to find what Rob the dog hears and discover something unexpected! The book helps children understand the difference in sense capabilities between humans and animals as well as showcasing Canada's natural Flora and Fauna. The precocious youngster that won our hearts all those years ago is back in brand-new adventures! Despite a hard-knock life, Punky Brewtser's one girl that can't be kept down. Punky and her dog, Brandon, are scraping by on the streets of Chicago, sleeping in empty apartments and mattress stores. But they're bound to get caught some time and things look grim when their best hops is a grumpy old loner named Henry. Lincoln has a great idea for his birthday this year; he should have a pool party! The only problem is, he doesn't have a pool. How will he convince his parents to build in time for his birthday? Lou Lou Bombay and Peacock Pearl have been best friends since first grade. Every Friday afternoon, they get together in Lou Lou's backyard garden for their PSPP (Post-School Pre-Parents) tea party. The chat about school, discuss Pea's latest fashions, and plot the weekend's activities. But all plans go out the window when a series of small crimes crop up around El Corazon, their quaint and quirky neighborhood, right before the Dia de Los Muertos procession. First, Pea's cousin's quinceanera dress is tragically ruined. Then Lou Lou's beloved camellia bush, Pinky, suffers a serious blo, And that's just the beginning! 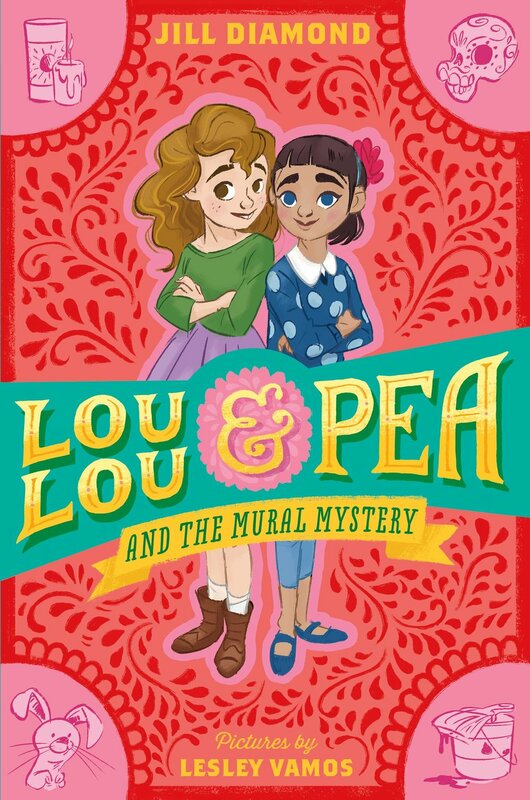 When clues start to appear in El Corazon's outdoor murals, the best friends join forces, using Lou Lou's floral expertise and Pea's artistic genius to solve mysteries. Accented by Lesley Vamo's spirited black-and-white- illustrations, Jill Diamond's debut is a delightful introduction to two very creative best friends and their unforgettable adventures! Twelve-year-old Frankie Fish must team up with his Grumpy Grandad to save the family from a time-travel disaster!! Elly has everything a girl could desire: bonbons, pretty clothes, maids to put everything in order, and a family that treat her like a princess. Except that, to her, life's a boring, royal pain. All Elly really wants is to be with other kids - especially when they play baseball. She dreams of opening days, double plays, and joining the team. Then, one day, her fairy godfather arrives to make her wish come true. Will Elly FINALLY succeed in trading her glass slippers for a pair of smelly sneakers? A fun and inspiring twist on Cinderella that's just right for today's girls.